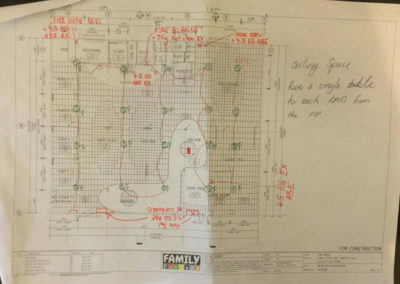 Sam from Wormalds Albury branch contacted Fire Block Plans needing Evacuation diagrams, Fire alarm block plan & As-installed drawings for the newly renovated Griffith Family Fun Land on Kidmans Way Griffith. 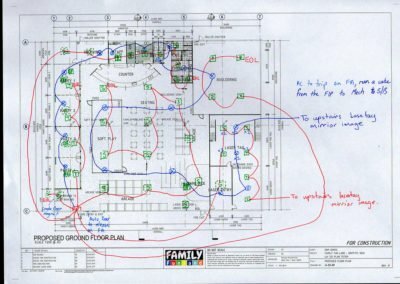 Griffith Family Funland is an indoor amusement park for kids consisting of Laser Tag, Arcade games, Virtual reality rides & a soft-play area. Wormalds Albury originally contacted us via Facebook in 2016. Since then we have worked with Wormalds to get many jobs over the line. 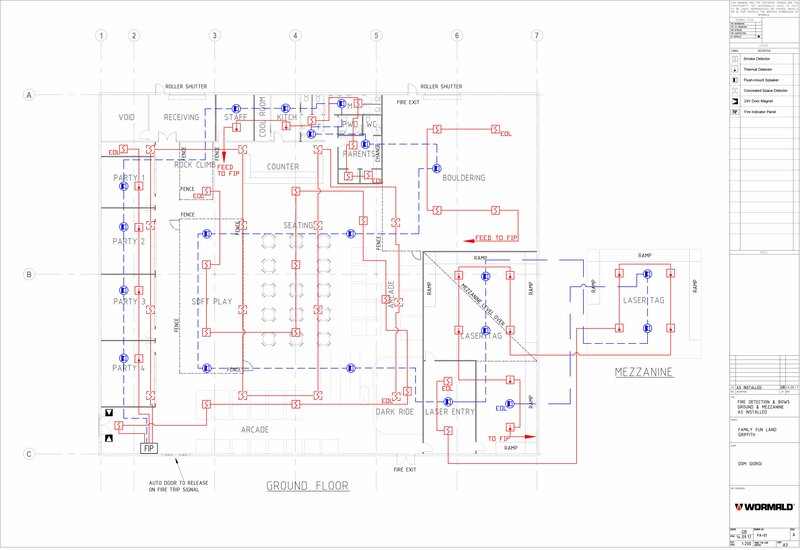 We deal with various technicians & project managers on a regular basis to ensure all works are completed professionally and in a timely manner. 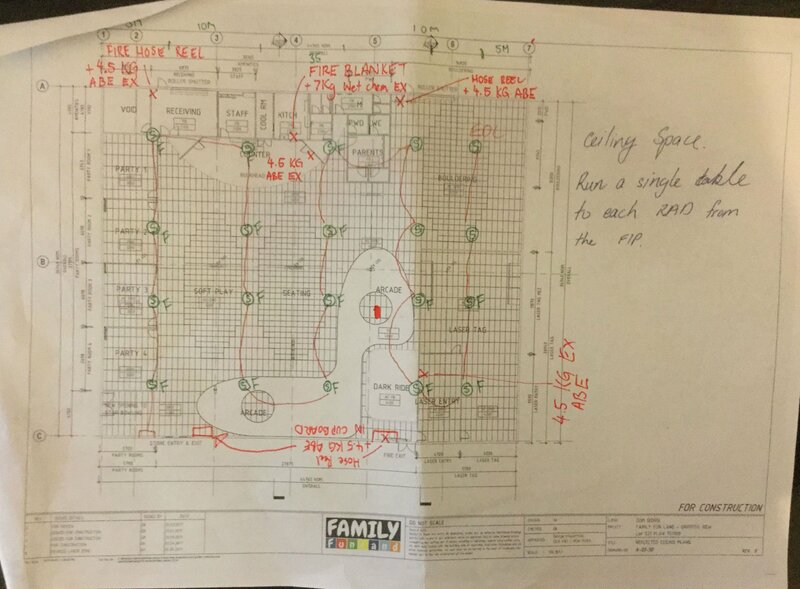 Sam contacted us one afternoon explaining that he needed As-builts & Fire alarm block plan for the new Dry-fire install, as well as Evacuation diagrams. 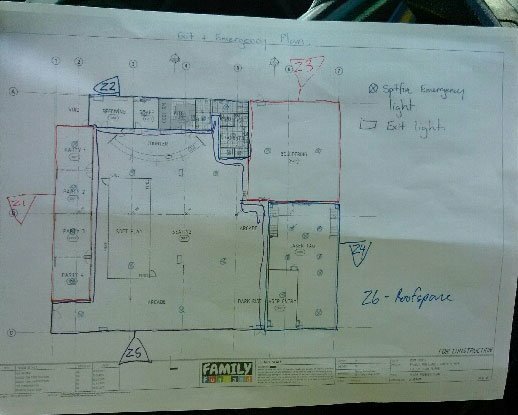 Sam provided Fire Block Plans with hand-drawn mark-ups showing all devices and wiring diagrams, as well as a mark-up of all required fire services for the Evacuation Diagram. 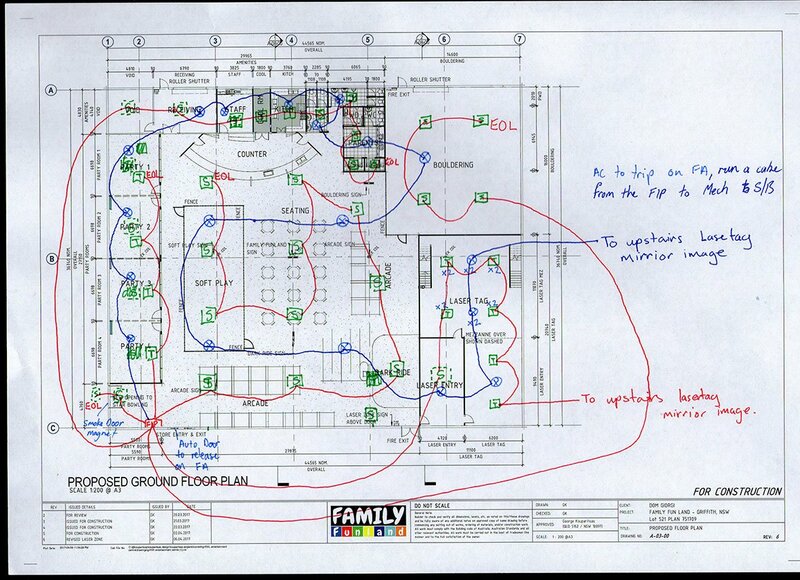 Any queries we had Sam was only a phone call away and we were able to quickly make sure our drawings were 100% accurate. 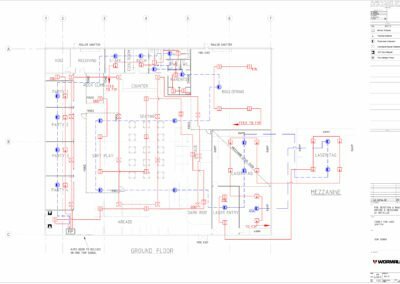 We were provided with a floor plan in CAD which we were able to utilise to submit drawings complying to AS 1670.1 & AS3745 respectively. 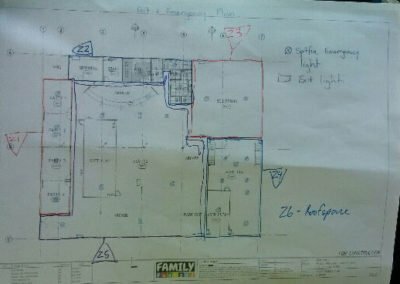 Sam and the rest of the Wormalds Albury team are always a pleasure to work with & it gives me great pleasure to know how happy they are with Fire Block Plans as their drawing & drafting company.